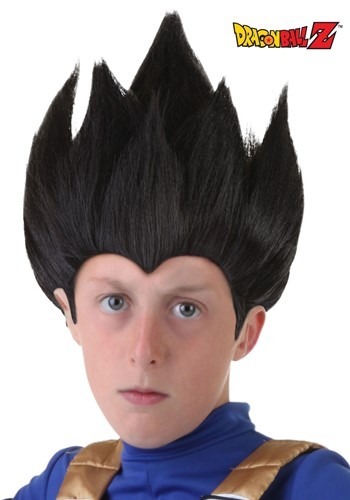 Child Vegeta Wig By: Partytime Costume & Lingerie (Yiwu) Factory for the 2015 Costume season. Vegeta might not always have perfect manners, but he does always have perfect hair! Well, we got in touch with his hairstylist and came up with this Child Vegeta Wig. It has the signature black spikes of the Dragon Ball Z character, so you don't have to spend hours trying to gel your kid's hair in preparation for his big fight with Cell.